The Maryland Baseball season is just eight days away, and with that, our team preview continues. So far, we have broken down the Big Ten Conference and looked at the Terrapins’ bullpen and outfield. Now, it’s time to take a look at the Terps’ 2017 starting pitchers. Maryland will be without star right-hander Mike Shawaryn this season, as the team’s all time leader in innings pitched (307.1), strikeouts (307) and wins (30) was drafted last June in the fifth round by the Boston Red Sox. But despite Shawaryn’s departure, the Maryland rotation that features junior right-handers Brian Shaffer and Taylor Bloom figures to be just as strong as it was a year ago. Beyond these two, several formidable underclassmen will be in the mix for the Sunday slot, as well as midweek appearances. But first, let’s take a look at the weekend starters. Coming off a strong 2016 as Maryland’s primary Sunday starter, Brian Shaffer moves up to the number one slot on Friday nights this season. The promotion is well-deserved, as he finished in the top ten in the conference in innings pitched (103.2), ERA (2.60), opponents average (.209), and strikeouts (75), while leading the Terps in wins (8), WHIP (0.88) and innings pitched. The Terps were 10-5 in his starts, and he led the team to six wins in series-deciding rubber matches. Shaffer pitched three complete games last season, two of which were shutouts, including a two-hit, eight strikeout victory over Indiana in a Big Ten Tournament elimination game. He sports a low- to mid-90s fastball to go with a change-up and a slider, and relies on his pinpoint control (13 walks in 103.2 innings) for his success. After excelling as the Terps’ Saturday starter a year ago, Taylor Bloom will return to that same role in 2017. He was just as dominant as Shaffer in 2016, leading Maryland with a 2.46 ERA and five complete games. With a fastball that tops out in the high-80s, Bloom uses his change-up to pitch to contact and keep hitters off balance. 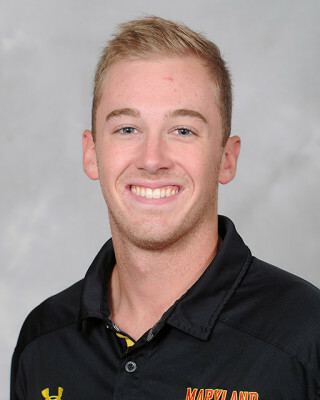 As with many contact pitchers, his control is his calling card, as he was the only pitcher in the nation to throw more than 100 innings while walking fewer than ten batters (9 walks in 102.1 innings). 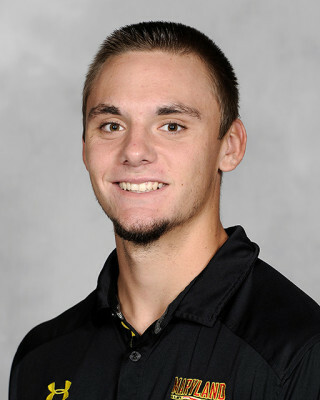 His 0.79 walks per nine innings ratio was second best in the nation, while his 6.67 strikeout to walk ratio ranked 15th. His finest appearance of the year came on April 8 against Ohio State. Filling in for Shawaryn in his first career Friday start, Bloom took a perfect game into the sixth inning before finishing with a 90-pitch complete-game shutout. With Shawaryn’s departure and Shaffer’s promotion to Friday night, Sunday’s spot in the rotation is up for grabs. One candidate is sophomore right-hander Hunter Parsons, who emerged as a formidable midweek starter in his freshman season. In 15 games (five starts) a year ago, he pitched to a 3.50 ERA with 28 strikeouts in 36 innings while holding opponents to a .201 average. He was named Big Ten Freshman of the Week for his seven-inning, two-hit performance against James Madison on April 6, and earned a spot start on Sunday against Purdue later in April. He had an impressive summer as well, posting a 1.41 ERA for the Baltimore Redbirds en route to being named the Cal Ripken League Pitcher of the Year. 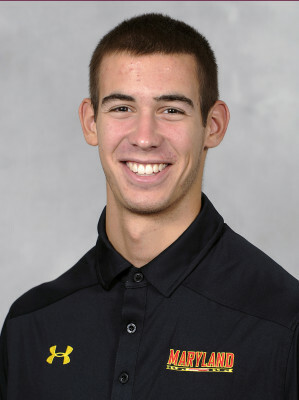 The other Sunday option is freshman left-hander Tyler Blohm. Drafted in the 17th round by the the Baltimore Orioles last June, Blohm did not sign, electing to play for Maryland instead. The Archbishop Spalding (Severn, Md.) product was a perfect 9-0 in his senior season, posting a 0.74 ERA and 103 strikeouts in 66 innings. Over the summer, he played alongside Parsons on the Redbirds, pitching to a 2.07 ERA in 26 innings. Blohm’s fastball sits in the low-90s, and he uses a mix of this, his change-up, and a plus curveball to miss bats. Either Parsons or Blohm would be a solid option on Sundays, and even just eight days before the season starts, Maryland Head Coach John Szefc still has not made a decision on who will get the nod in the opening series. Between Parsons and Blohm, whoever does not get the ball as the Sunday starter will be Szefc’s primary option in midweek contests early in the year. But as the season progresses, some other young arms will could figure into the midweek rotation. Sophomore right-hander Cameron Enck struggled in limited action a year ago (5 G, 6 IP, 7.50 ERA), but had a breakout summer with the Amsterdam Mohawks of the Perfect Game League. In nine games (46 IP), Enck posted a 0.39 ERA, decimating the previous record of 1.02. This impressive summer performance should be enough to get him a midweek look at some point in the season. 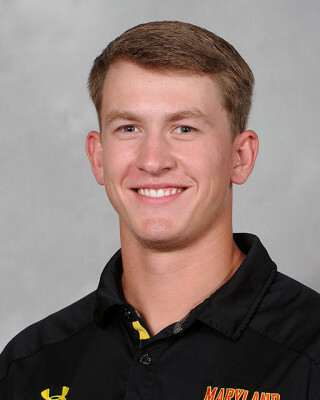 Freshman righty Elliot Zoellner pitched to a 0.97 ERA in his senior year at St. Mary’s High School (Annapolis, Md.) after posting a 1.56 ERA in his junior season, and has impressed Maryland coaches this offseason. He played locally over the summer for the Gaithersburg Giants in the Cal Ripken League, going 1-2 with a 4.94 ERA in eight appearances.